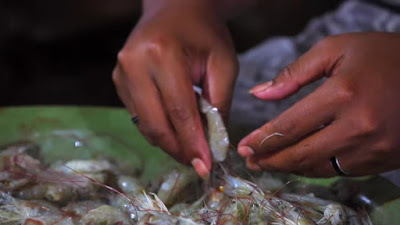 As one of the largest shrimp suppliers in the world, Indonesia has many shrimp dishes worth to be tried. 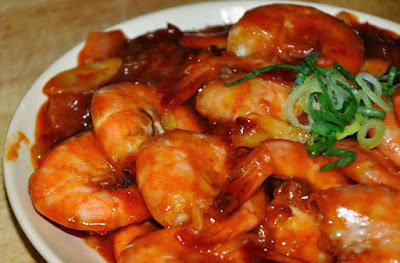 Recipe shrimp Indonesia is really simple but the taste is wonderful. 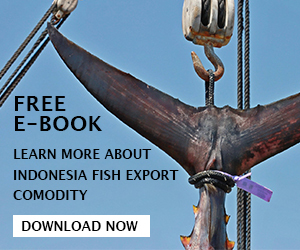 Indonesia is known as a maritime country with tropical waters that suitable for the shrimp to inhabit. 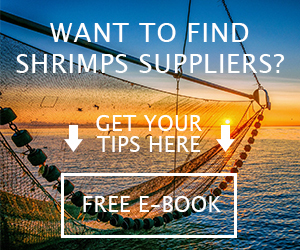 There are many species of shrimp harvested each year both wild and farmed caught. 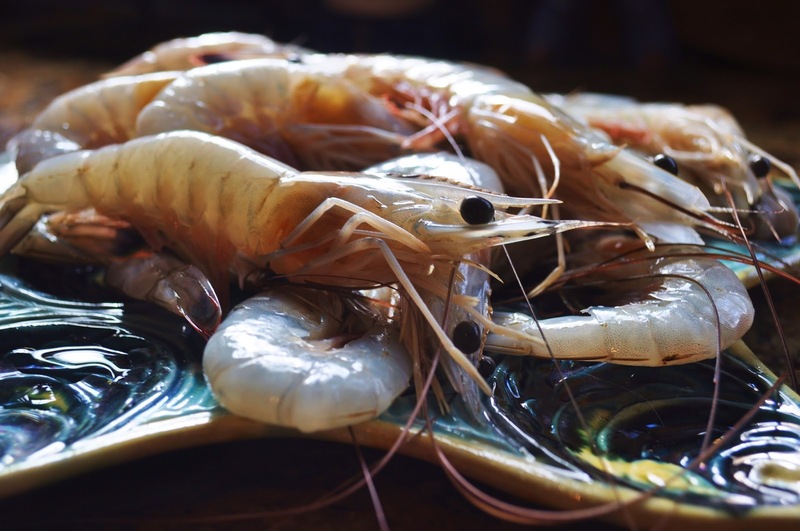 The shrimp then sold domestically and internationally to various countries including America, Europe, Australia, and other Asian countries like Japan and Korea. The exported shrimp is known to have the best quality. - Avoid buying fresh shrimp that displayed on the seafood section. First thing first, it is better to pick out the frozen shrimp instead of choosing the shrimp that labeled as “fresh” on the seafood counter. Why? Because it is unsure whether the shrimp is really the freshest or they are previously thawed then displayed as fresh shrimp. Who knows that the fresh shrimp you see is actually several days or weeks ago caught before being delivered to the market. Frozen sometime is better alternative if you cannot find fresh and raw shrimp that still alive. To make a better recipe shrimp Indonesia taste, better you cook with raw shrimp instead of pre-cooked or cooked one. 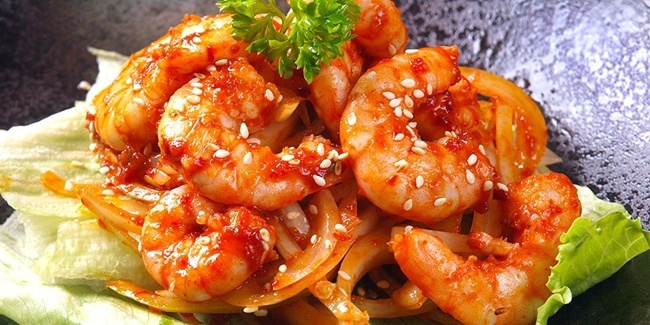 Pre-cooked or cooked shrimp is more difficult to be added by additional flavor because they are already ruined, you will end up with awful taste sometime so it is best to cook with raw uncooked frozen shrimp. Get your eyes and hands on the shrimp when you buying them at supermarket. First look for any odd visible signs of the shrimp to ensure that the shrimp is still in good condition. After that, if allowed by the seller, touch the shrimp and the flesh should be firm with bright and not dull appearance. 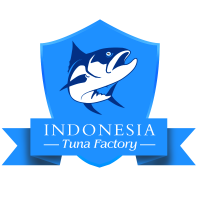 After you are done shopping for the shrimp then it is the time for you to start preparing and cooking simple recipe shrimp Indonesia. Try this recipe shrimp Indonesia! If this is your first time trying to cook with Indonesian recipe then it is fine since the recipe is really simple to try at home. First, you need to thaw the frozen shrimp right after you comeback from the store. If you want to cook the shrimp the next day, you can simply store the shrimp overnight to thaw slowly or if you want to quickly use them then you can soak the shrimp in cold water for few minutes. 1. Prepare and heat the oil in frying pan. Sauté for three minutes the red chilies and shallot till they are smell fragrant. 2. Add soy sauce and chicken stock and bring them to boil. 3. Add the shrimp and start to cook them about one minute till the color turn bright red or pink. 4. Add the corn start mixture to thicken the sauce and cook again for two minutes. After you are done cooking the shrimp, turn down the heat and then transfer the shrimp into clean serving plate. You can enjoy it with steamed rice. If you have another recipe shrimp Indonesia and we are glad if you willing to share it too for us and enjoy the dish today!